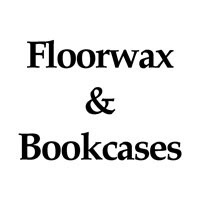 Waxing the floor, building the bookcase. Before my beautiful son Emmett was born (almost 15 months ago), I had two home-improvement projects to complete. One was re-waxing our kitchen’s linoleum floor and the other was building a built-in bookcase. I was very excited about the bookcase. I was not excited about the floor. The bookcase project was at the very upper limit of my skill set and consequently would be really challenging. The re-waxing of the floor would involve slowly removing the old finish, tile by tile, and then smoothly applying the new wax, very, very slowly. Building the bookcase was fun! I had to think and then re-think what I had thought. Then I had to think creatively when I faced problems that I didn’t foresee (like when the air-conditioning vent on the ceiling had to be moved). The waxing, not so fun. I had figured it was going to take about six hours of slowly, methodically creeping on the floor with multiple buckets of solutions and a plethora of sponges. But, after about two hours of tedious work, I found I’d only managed to put down about 10% of the new wax. In order to keep to my budgeted time line, I decided that shortcuts would be prudent and necessary. I spread a thin layer of the wax over about 40% of the floor and waited to see if it would dry in a relatively uniform manner. It did, and so I finished the rest in less than an hour, congratulating myself on my ingenuity. Alas, when the floor had fully dried, my shortcut was painfully obvious-90% of the floor looked awful. Now had to completely start over and remove the newly, poorly applied wax. What I learned-besides the importance of strictly following the instructions when re-waxing a floor-was that I enjoy challenging myself so much that I will create problems in order to turn a boring task into something more challenging. As frightening a thought as that is to ponder, think about how it applies to your own life. Are there situations where-even though it doesn’t logically make sense to do so-you complicate matters so that you can rescue yourself, à la Baron Münchhausen? I wish that we could see the utter simplicity of life, that all things pass, that problems resolve, and that there is actually less for us to do than we could ever imagine.